SugarWOD is the #1 workout app for athletes, coaches and affiliates. 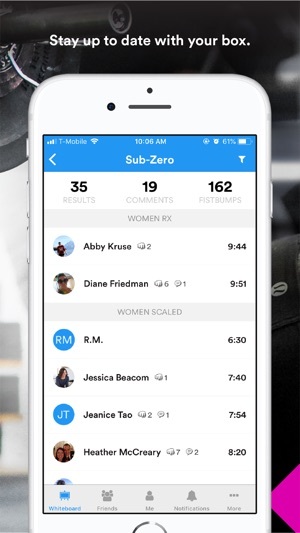 Over 500,000 affiliate athletes use SugarWOD to track their workouts and PRs! 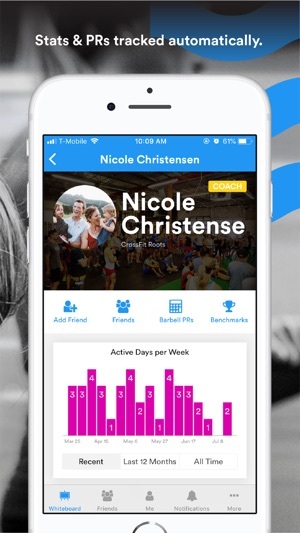 With commenting, photo sharing and community scoreboards, you can connect with friends and coaches, inside and outside the gym. Athletes have even given each other more than 35 million fist bumps! 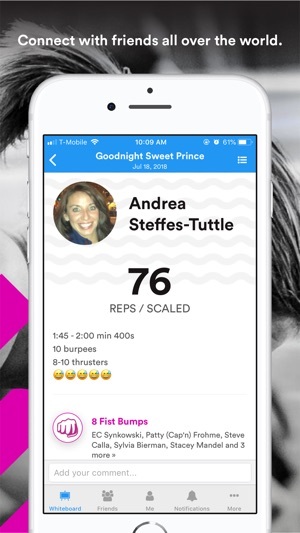 The app also creates a better WOD experience with performance tracking, movement prep videos, and a way for your friends to support you when you get that back squat PR. CompTrain by Ben Bergeron is exclusively available on SugarWOD. 2900+ boxes use SugarWOD to grow their community and manage their programming. 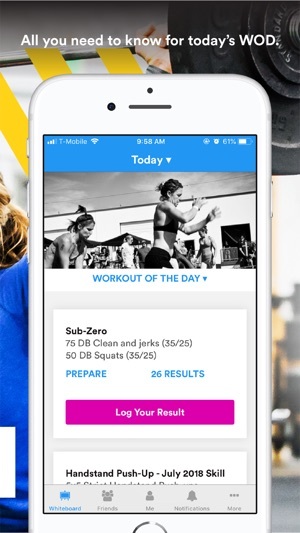 For affiliate owners and coaches, SugarWOD simplifies program management, with a library of over 1000 WODs and an easy-to-use programming tool. It also provides a powerful tool that supports the community at your gym—with the ability to encourage and connect with athletes inside and outside the box and analytics to make sure coaches can monitor the performance and participation of their members. "Great app, I love it! I'm just starting out in CrossFit and I'm not sure if I'd like it as much if I didn't have SugarWOD." 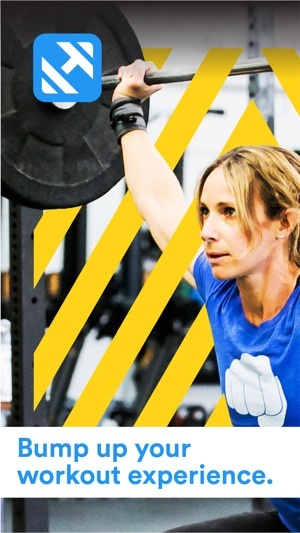 "It's so easy to use, both as a coach and a user. Awesome interface, tap friendly and very intuitive." "SugarWOD has provided there so much more cross communication between the athletes from the different classes, it's actually amazing. Fist bumps are flying all over the place!" "I worked in the Tech industry for 16 years before starting up the Box and I know when I come across some good tech, so well done!" "SugarWOD has been a great success, members love it and its sparked some friendly banter and fierce competition amongst everyone." This release has important updates that will soon allow SugarWOD athletes and coaches to be members of more than one gym. Use SugarWOD for your local gym and any combination of your online communities. This is the only WOD app I've tried, but it works for me as expected. I like the goofy little "I am awesome" message w the confetti. Its goofy but makes me smile. I like being able to see my slow steady progress. Seeing the rest of the gyms results is appreciated. I'm bottom of the men's list in my CF gym of those who record w SugarWOD, but it gives me the incentive to push a little harder each class. I see the advancement every day and thats what matters. Thanks for a good, easy app. The last update came with an utterly stupid acknowledgement message when you hit a one rep max. In order to get rid of the "You've set a new one rep max" or something like that, you must hit the button that says "I am awesome!" Please, please, please get rid of that stupid message. I know no one that thinks that is an appropriate message. For those that like the message, give people the option of seeing that message every time they spell a word correctly, but don't make me have to acknowledge that again. This app helps me log my workouts, look up times and weights used for past workouts, and gives me percentages of my max weights for preparing for future workouts. 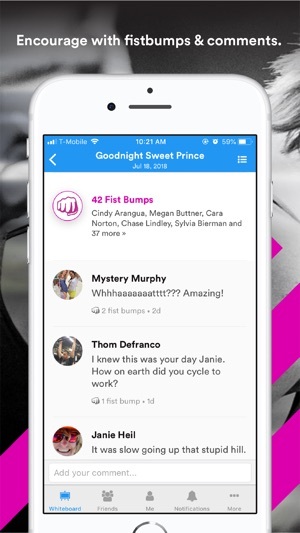 It's very user friendly and I really like how it makes me acknowledge that "I'm awesome" when I reach a new PR. My cousins live in a different state and go to different boxes, and I appreciate that we can be "friends" on SugarWOD and see each others logs/posts and help hold each other accountable. © 2019 Flatirons Software, Ltd.